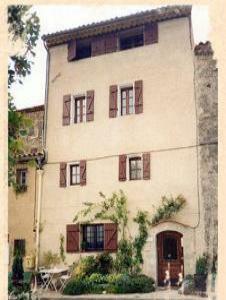 The house is our home in France and is not a typical holiday let. Verdon and the big lake Lac de Saint Croix. Ground floor: Dining kitchen and alcove, stairs to first floor. First floor: Landing, separate toilet, masters bedroom and bathroom. Third floor: Living room / second bedroom. All prices are including gas, bed sheets, towels, tea towels etc. and cleaning after use of the house. The rental period is from Saturday at 4 Pm to Saturday at 10 Am. one week after the rental has been confirmed. been broken or is missing we will have to take that of the deposit.